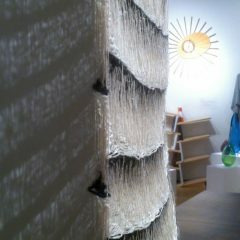 My woven work is often textured, sometimes spatial and uses fibre that can express 3D concepts. 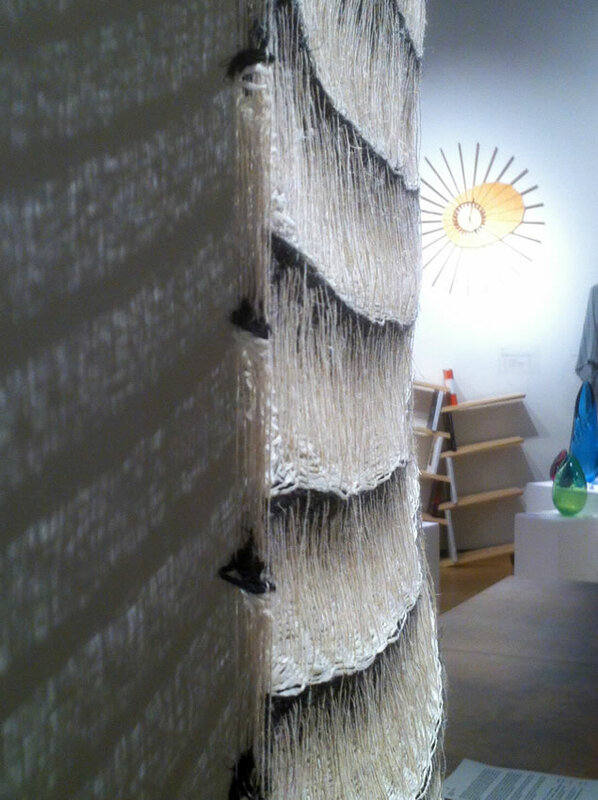 Work might be made in linen, paper or silk. 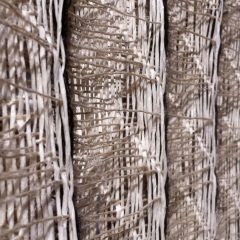 My woven work explores light and space, sometimes real space, sometimes optical illusion, and is usually for interior decoration or soft furnishing. 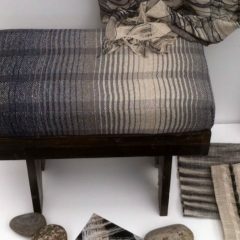 I use materials that are mostly natural – wool, linen, paper, silk, occasionally combined with light reflecting fibre and metallic yarn. 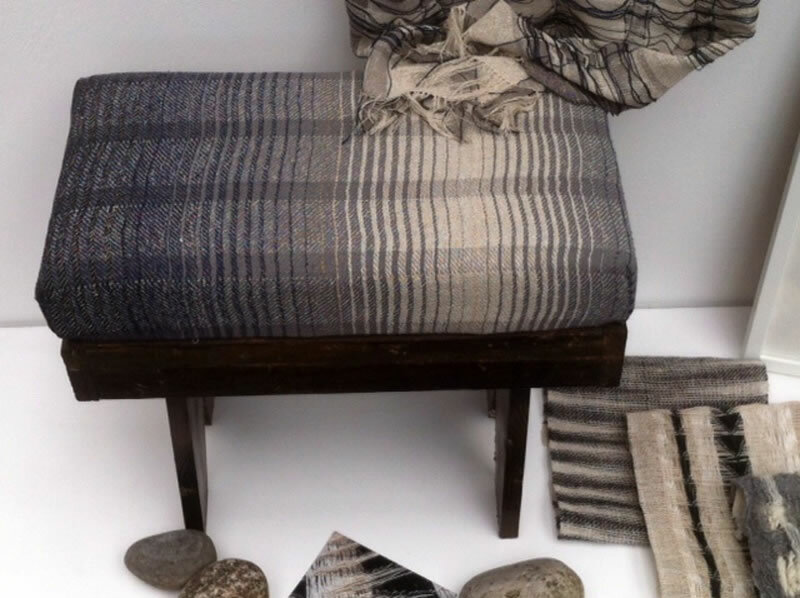 I am a Licentiate member of the Society of Designer Craftsmen and exhibited in 2016 Institute of Contemporary Art’s Mall Gallery in London. 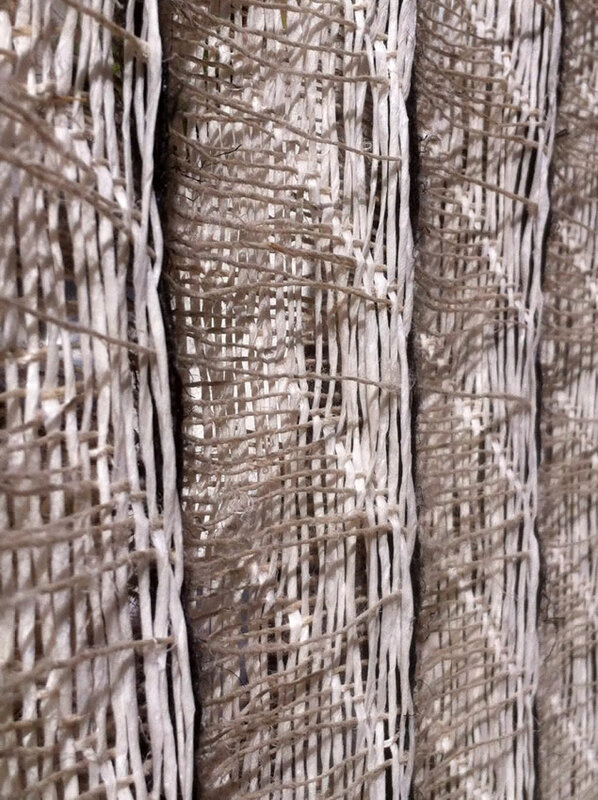 This woven work, consisting of screens, a stool and interior fabric explored the significance of light and more importantly, shade, in the Japanese house. Garden studio with a number of looms showing weaving in progress. Fibre, samples and concept work. Woven items for sale.